It should have an extruded aluminum frame. It should aluminum frame powder coated. It should have 316 stainless steel fittings. A number of frame options can be integrated into an existing structure. It can be fit into commercial or residential applications, decks, cafes, patios, restaurants, and clubs. 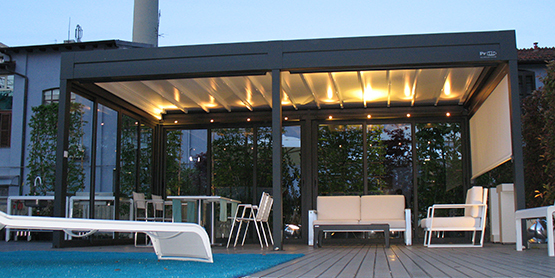 Retractable roof Melbourne are a great way to bring functionality and style to outdoor spaces, making them a great option when you want to protect an outdoor area from rain, the wind, and heat all year round. Also, we must be careful in choosing the right retractable roofs which can be easily integrated into any outdoor space, making them perfect options for commercial, residential and hospitality applications. You should select the retractable roof with the right tensile strength and durability under the most inclement conditions. Whether you need a retractable roof for your courtyard, backyard or deck, or you’re looking for a custom-made roof system for your restaurant, bar or commercial project, there are different kinds of retractable roofs to suit varied requirements. There is a retractable roof which utilizes a custom direct drive motor system which ensures smooth operation. They’re so equipped with high-grade extruded aluminum profiles, stainless steel components, and an unparalleled running system. Some retractable roofs have LED lighting, while there are sun and wind sensors integrated for your ultimate convenience. Roofs with dimmable LED lights are also available. The retractable roof pergola system has a retractable fabric canopy system where rainwater is directed towards the front or sides only and the fabric cover is so supported that it can be protected from higher winds. Although operation wise it is pretty basic, this canopy is tough and can be used in rainy and windy conditions too, where a normal awning will not fit. The framework structure is usually made from high-quality aluminum with a powder coated finishing. When you require a higher level of protection and the area is pretty exposed, there is the use of thicker fabric covers and additional mechanical components, which ensures greater resistance to torrential rain and strong gusts of wind. The more enhanced retractable roof systems have higher specification framework systems which allow the use of additional products to the sides and front such as sliding glass doors or vertical blinds which create a room which looks like an outdoor room, where you are protected from the inclement weather with ease. So, select the one which suits your purpose the most. A retractable roof can give protection to your home with enhanced additional features like heating and lighting. So, retractable roofs are regarded as the perfect all year round solution for diverse kinds of weather conditions.